This can be accomplished only programmatically. NOTE: Providing a custom array of labels, the attributes textToggle[Left/Center/Right] will be ignored. NOTE: Please not that it's a different widget MultipleToggleSwitch instead of the previous ToggleSwitch. 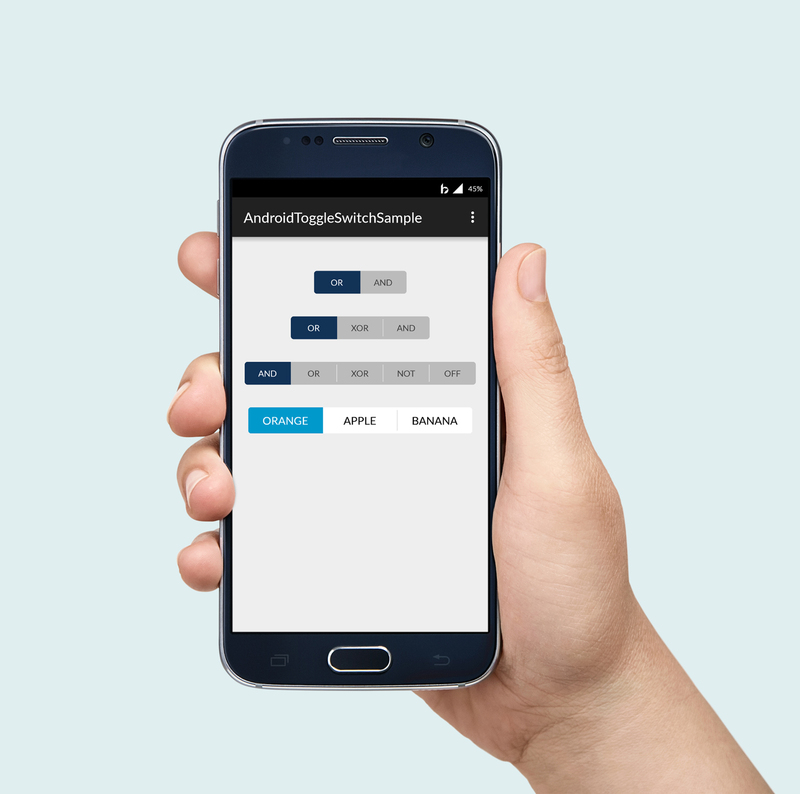 Android-Toggle-Switch is Copyright (c) 2016 Belka, srl. It is free software, and may be redistributed under the terms specified in the LICENSE file. Belka is a Digital Agency specialized in design, mobile applications development and custom solutions. We love open source software! You can see our projects or look at our case studies. Interested? Hire us to help build your next amazing project.